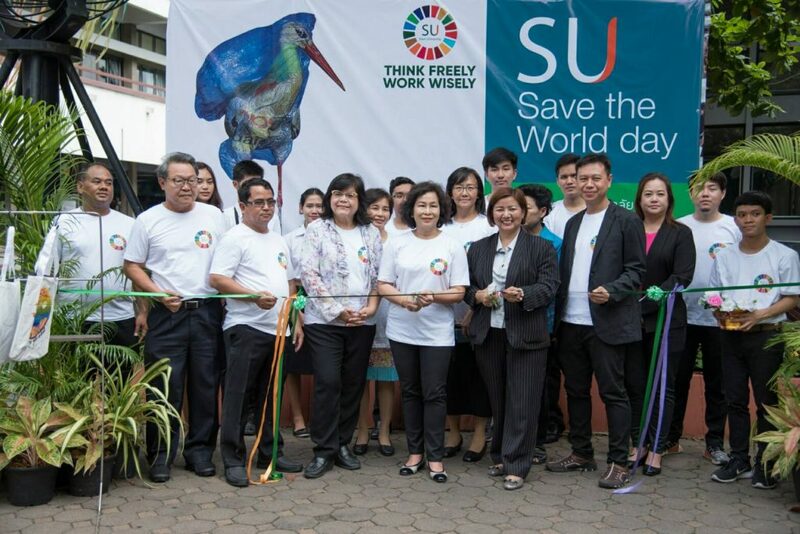 Students and staff were invited to attend the SU ‘Save the World Day on 10 August 2018. 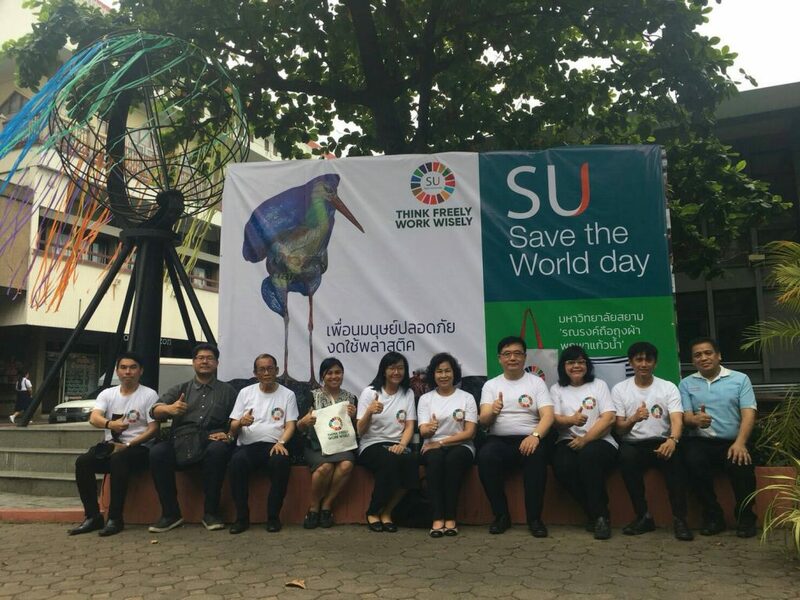 In cooperation with 7-11, Siam University and several other universities around Thailand, a campaign to say no to plastic has begun on campus. 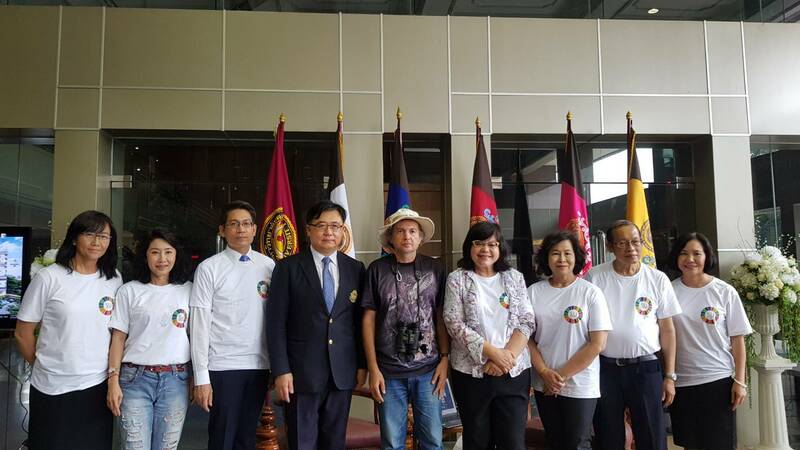 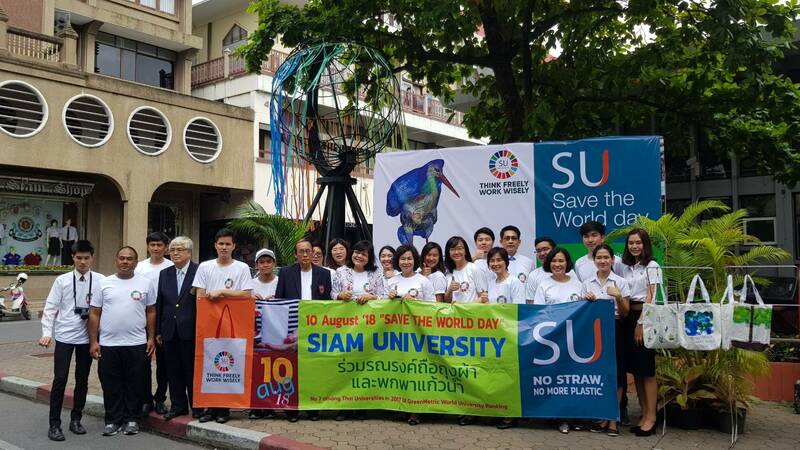 Siam University has chosen to lay a path of sustainability and environmental conservation by encouraging others to stop using straws, plastic/foam cups, plastic bags, plastic bottles, plastic spoons, and forks. 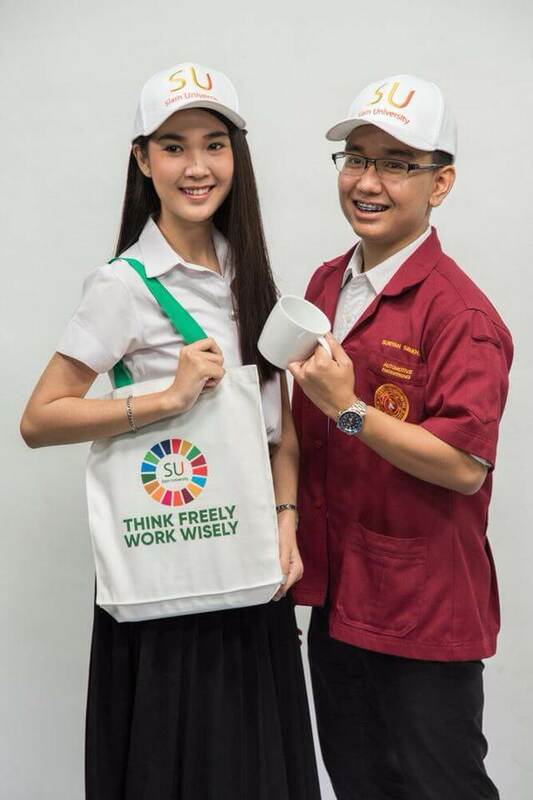 By reducing or eliminating the use of these products, it helps to solve the root of the problem and unnecessary garbage. 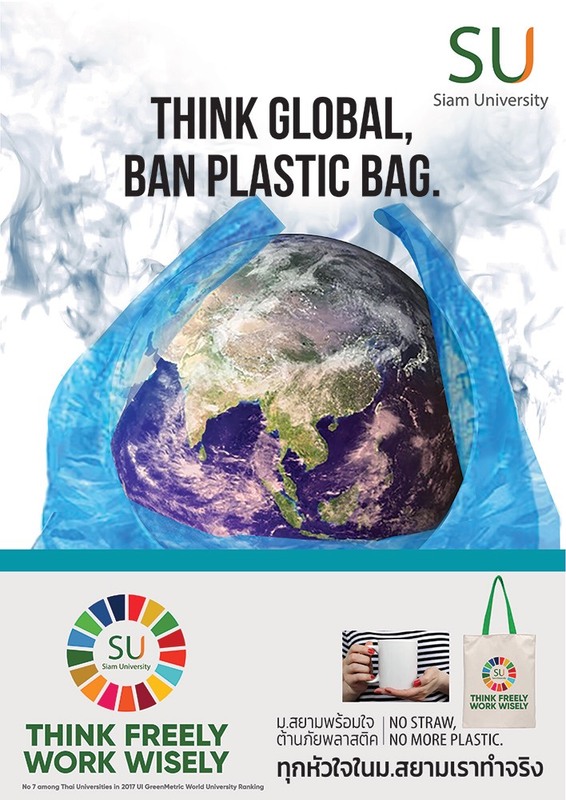 Only 5% of plastics are recycled, 40% are placed in a landfill, and the majority are the main source of litter in the city, forests, and waters. 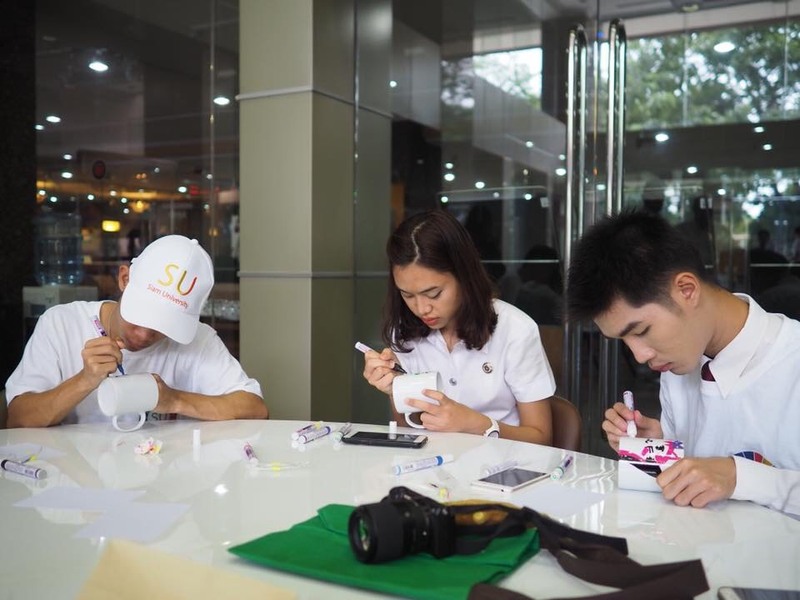 In commemoration of this campaign, students and staff were invited to join in by creating artwork on reusable bags and glass mugs. 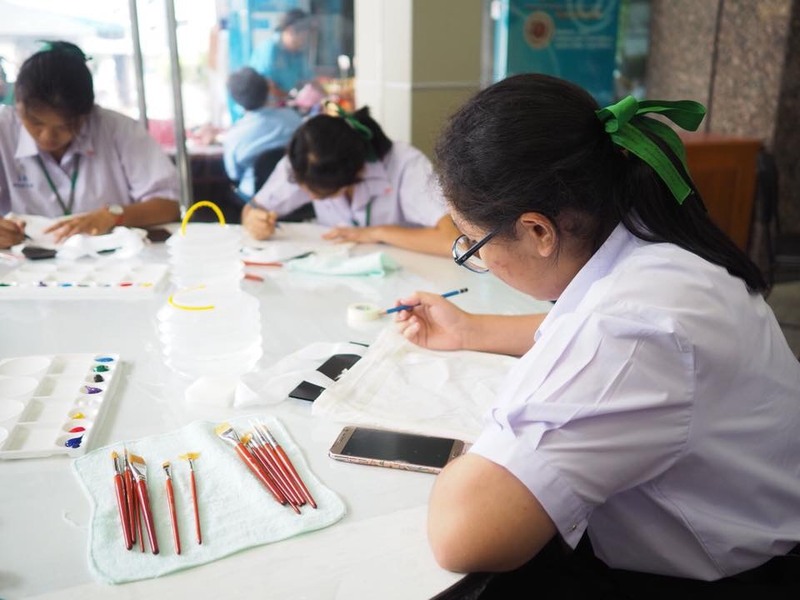 Attendees were provided with markers and painting materials to allow their imaginations to flow and express themselves through artwork. 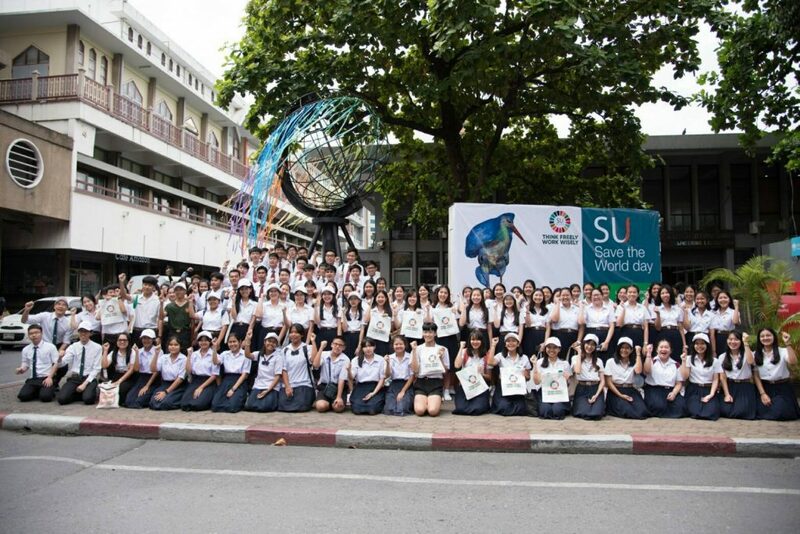 Hundreds of participants joined the event. 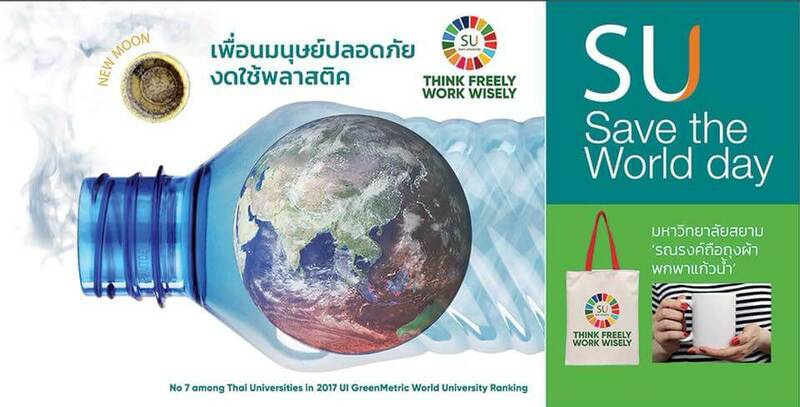 Special lectures were given throughout the day, providing facts and solutions about environmentalism and sustainability. 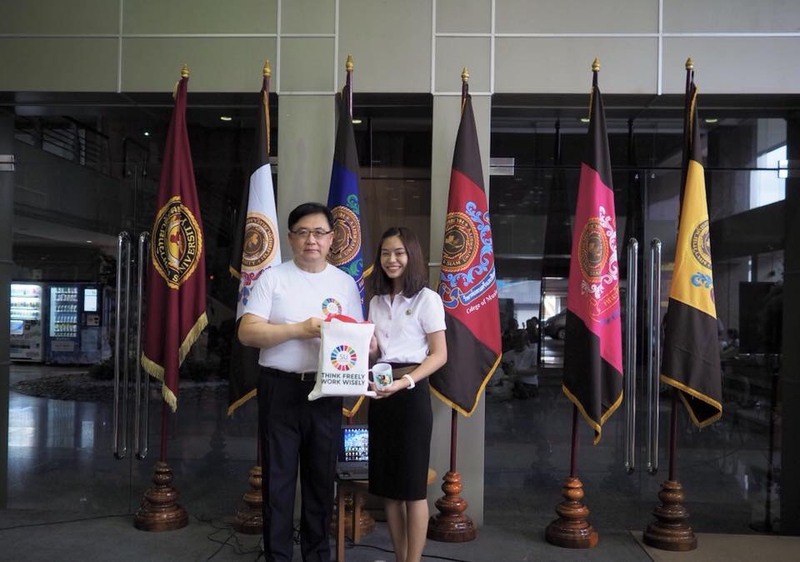 Towards the end of the event, Dr. Pornchai Mongkhonvanit, President of Siam University and other members selected the best drawings for awards and presented memorabilia to our special guests and speakers. With everyone’s participation and their efforts to say NO STRAW, NO MORE PLASTIC, Siam University is on its way to being a leader as a sustainable university.